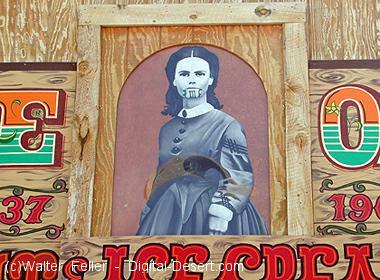 The namesake for the town of Oatman was Olive Oatman, a young Illinois woman kidnapped by Apache Indians and forced into slavery. 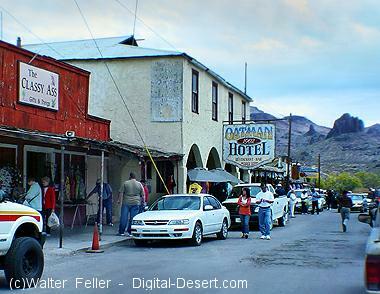 The town of Oatman in the Black Mountains of Mohave County flourished soon after prospectors discovered gold worth $13 million dollars in 1908 and another gold mine in 1915 worth $14 million dollars. 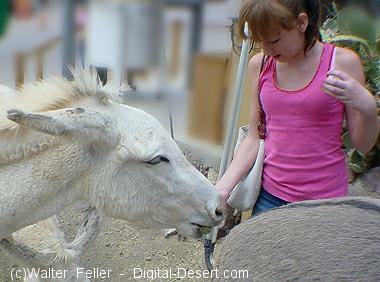 Oatman’s population ballooned to 3,500 within a year. In the 1920s and 30s, the population grew to around 10,000. 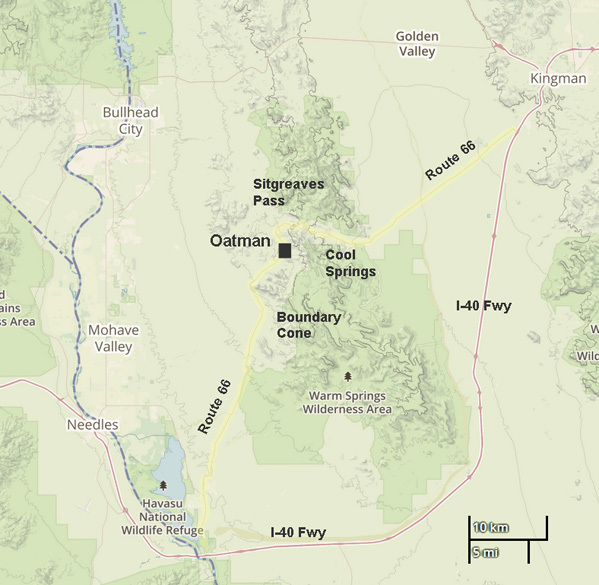 In 1921, a fire swept through the town destroying most of Oatman’s buildings. 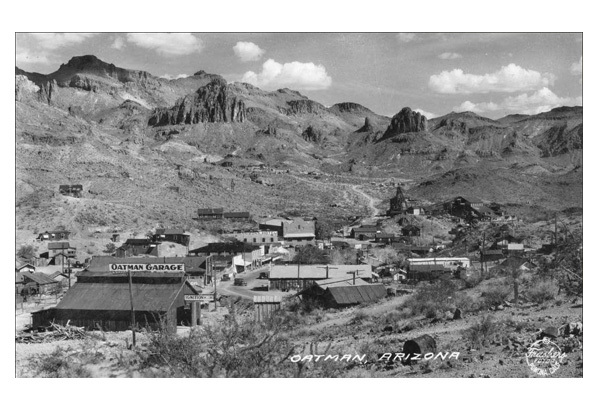 In 1924, United Eastern Mines, the town’s major employer, permanently closed its operations in Oatman. By 1941, the U.S. Government ordered the shutdown of the town’s remaining mining operations as part of the country’s war efforts. Miners were sent elsewhere to work in the extraction of more valuable wartime metals. 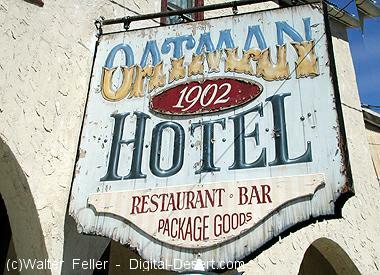 Oatman was fortunate because of its location on U.S. Highway 66, and local commerce shifted toward accommodating motorists traveling between Kingman, Arizona and Needles, California. From 1926 to 1952, the Mother Road coursed through the heart of town, sustaining a healthy tourism business. 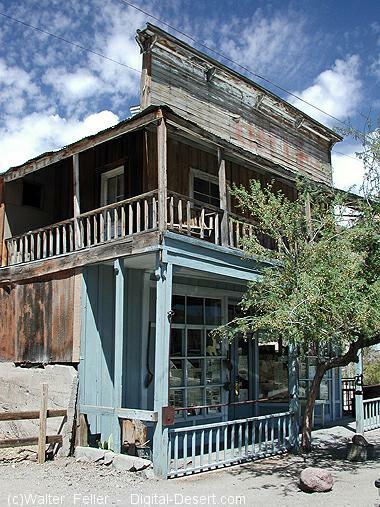 Interstate 40 bypassed Oatman in the early 1950s, however, leaving the town all but abandoned within a decade. Today, the community has only about 100 fulltime residents who primarily cater to tourists.